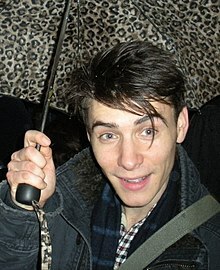 Henricus Lloyd (vulgo: Harry Lloyd; natus 17 Novembris 1983 Londinii), alumnus Collegii Etonensis et mox Aedis Christi apud Oxonienses, est actor. Agebat Gulielmum Scarlet in primis duobus temporibus cinematographicis seriei televisificae Robin Hood ("Robertus Hood"), et Viserys Targaryen in primis temporibus cinematographicis seriei televisificae Game of Thrones ("Ludus Thronorum"). Vicimedia Communia plura habent quae ad Henricum Lloyd spectant. Novissima mutatio die 16 Aprilis 2013 hora 00:58 facta.